My nice fresh out of the shower smell was promptly over powered by the Ed Mitchell smokers. I was sadly in line alone and had to make small talk with the others in line with me as we awaited the 11:00 am hour when the food could finally be sold. Why was I alone? Oh, you know ’cause my husband ditched me in favor of another line and in order to maximize our food intake by splitting up. Ok, whatever, I know its brilliant to maximize our bbq intake by dividing and conquering but still. 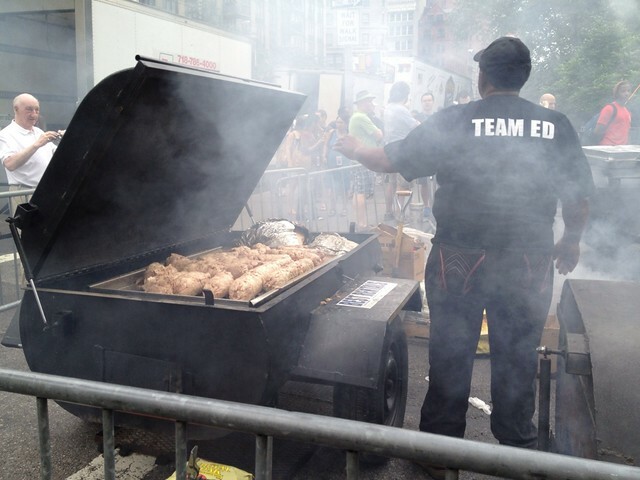 I am not a pulled pork super fan so I wasn’t surprised when the Ed Mitchell pulled turkey made me happier than the pulled pork. Pork, however, might be my favorite meat in general, I just don’t need it to be totally pulverized. As I snapped this photo I was literally in a cloud of smoke. 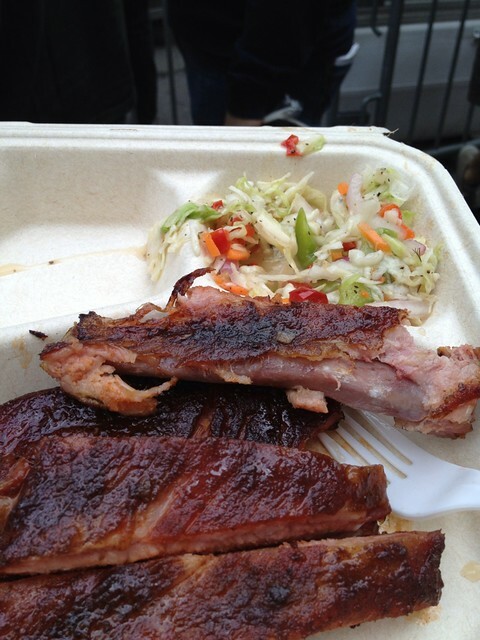 This year the Checkered Pig blew me away with their fall off the bone delicious ribs and super amazing cole slaw. 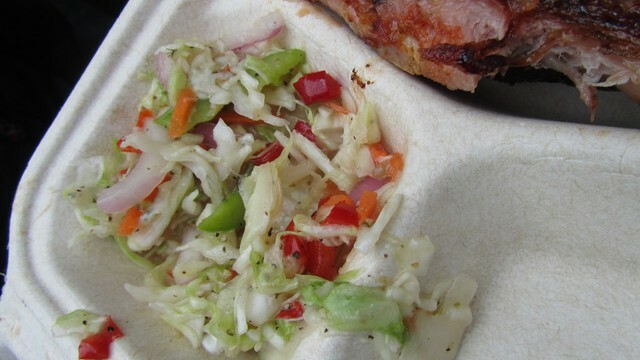 I am not really a slaw girl and generally assume that the sides at these events are just there for show (I saw a lot of industrial sized cans of pre-cooked baked beans behind some counters) but this cole slaw was special. Not the heavy handed cabbage dunked in mayo variety. Seriously, the cole slaw was so good it deserved a solo photo! this is not a photo of fried pies. 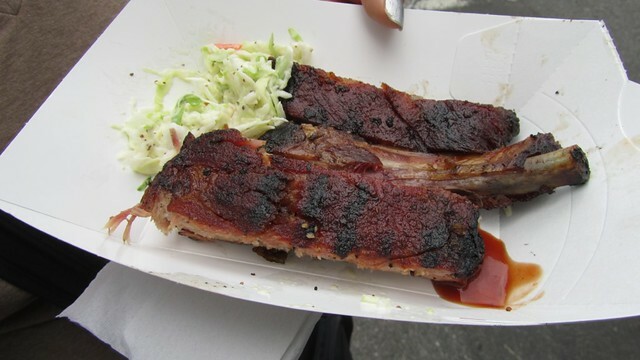 for some reason that photo wouldn’t transfer from my iPhoto so I posted a photo of the 2nd best ribs. We tried three varieties of The Fried Pies which were not as good as I remembered from last year and yet still pretty good. The fact that I am in love with the Hill Country Chicken Double Cherry Pie with Streusel Topping didn’t help their cause, nor the fact that I had just had the HCF pie the day before. Oh we also had to sample The Salt Lick, whose line was insanely long and yet the food was not up to par. The brisket was dry and the sausage was, no that was pretty good. Up here we really only find italian sausage so this taste of home was totally welcome but I couldn’t finish it because I had already eaten too much. 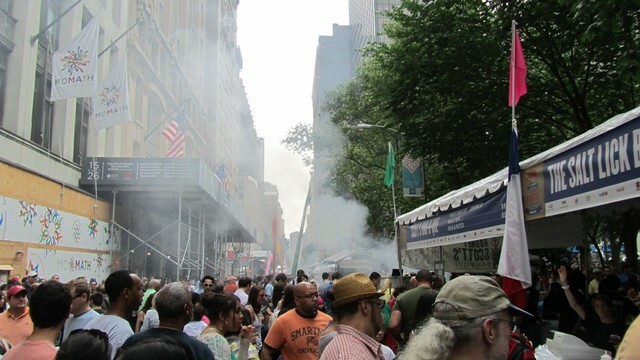 This entry was posted in events, everything i've blogged, food and tagged Barbecue, dining out, Madison Square, Pulled pork. Bookmark the permalink. 1 Response to Texas. 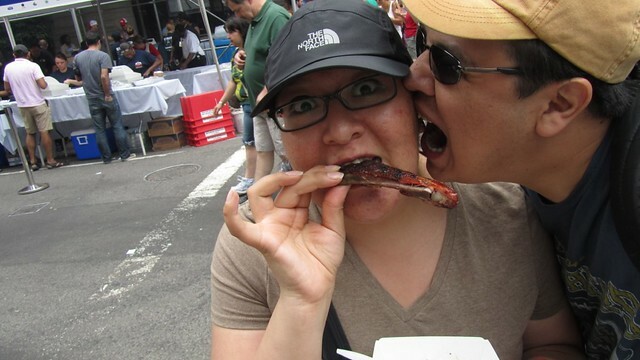 Big Apple BBQ.